Welp. So much for my aspirations to eat clean. You see, I borrowed a juicer and after each concoction was tasted my mind would start churning. I'd say "You know what would be delicious in this apple celery juice? Gin." or "This carrot juice would taste even better with vodka!" Old habits die hard. I did come off a week of juicing with a few new cocktail tricks up my sleeve. 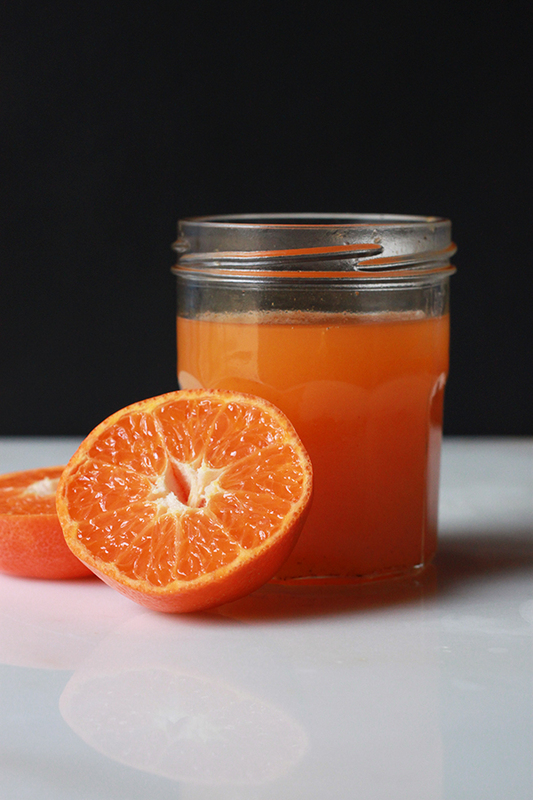 The simplest - Darling Clementine - is just some fresh squeezed clementine juice, a little simple syrup, and some vodka. 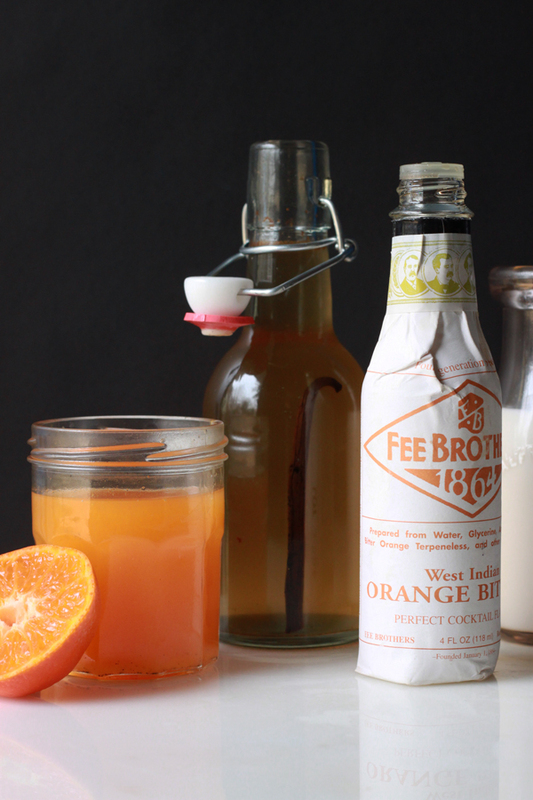 Fresh squeezed juice and booze are here to make us feel like there is balance in the world. Still this the perfect little cocktail for this weird time after Christmas when we are all just really waiting for spring. There is an old-fashioned drive-in in the little town where I grew up and they're famous for their orange creamsicle shakes. Okay, they might actually be famous for their burgers, but I only remember the shake. 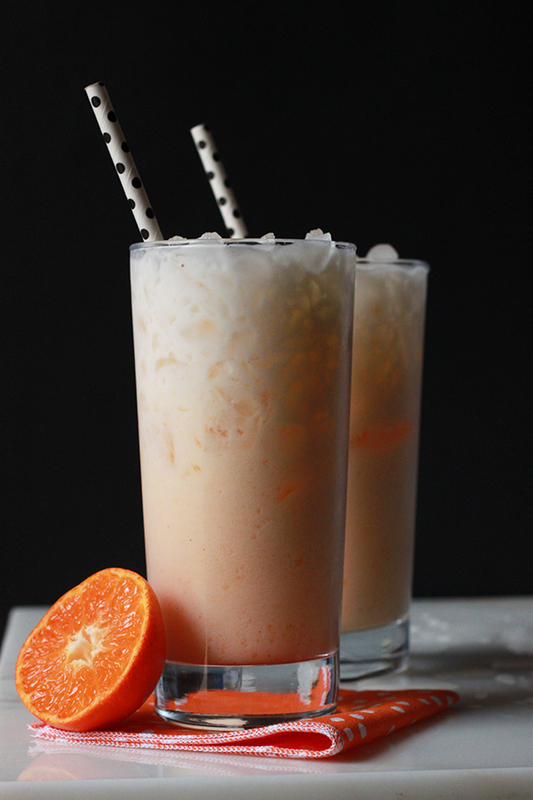 Orange creamsicle is just one of those wonderfully nostalgic flavors. Darling Clementine just let that flavor grow up with us (a little). 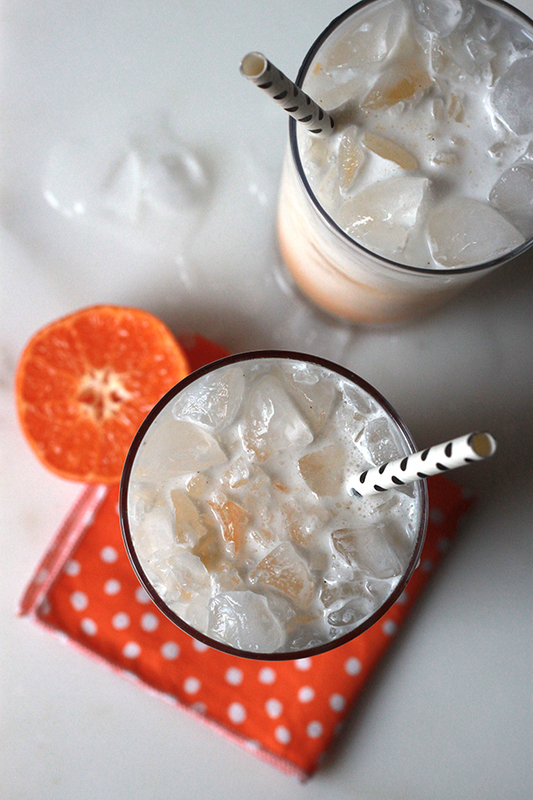 Combine the clementine juice, vodka, simple syrup over ice in a collins glass. Add the heavy cream and stir gently to combine. Top with a little soda water and enjoy. Combine 1 cup of sugar with 1 cup of water in a small sauce pan over medium heat. Bring to a simmer and add half a split vanilla bean and 1 teaspoon vanilla extract. Cool completely then store in an airtight container in the fridge. My Darling Darling Clementine.. I need to make this like right NOW..
You do need to make it RIGHT NOW! And please deliver one to me! YUM. If I can use heavy whipping cream as heavy cream (is there a difference? ), then I already have everything I need to make this RIGHT NOW! Your blog is looking so, so good, by the way. It's been fun to watch the transformation since I started following last summer. Great job, Meghan! Totally use the heavy whipping cream - they are essentially the same thing.